Notre-Dame de Paris stands proud - French Truly | Helping you become a little bit French! April 15th, at around 6:45pm French time, the fire attacks Notre-Dame de Paris. 400 firefighters and 8 hours later, the flames have finally disappeared. Yesterday evening as I was working away on my computer, I received a text message from my mother: “Notre-Dame est en feu.” No way, I can’t believe it. Too late for April fools jokes, I have to believe it. So I go check and like all of you, my heart sinks into my stomach, tears rush to my eyes, as I hopelessly watch one of our national treasures burn away. The very first person that comes to my mind is Victor Hugo. And if you haven’t read “Notre-Dame de Paris” yet, now is the time to do so. I imagine his horrified face in front of this tragedy. Then I think of how ironic and absurd that such damage can be caused by renovation when she resisted wars and bombings. I’m sure we all had the same thoughts. So many questions come to mind and you can’t answer any of them. What is actually getting destroyed? What is already destroyed? What does it look like inside? What if the fire doesn’t stop? What about the stained glass? And so on, yet no answer. You just have to watch & wait. Awful feeling. This morning though, I tuned in to France Culture and heard some very interesting programs. I decided to share with you some of the information I gathered. Apparently, a fire alarm did go off but no one believed it. Normally with such fires, something happens during the day but is too tiny for anyone to notice, maybe just a little spark, the workers go home, and that’s when the flames start showing themselves but then everyone is gone. There were guards of course but not where the fire started. Besides the fragile framework meant that people were not supposed to stay there, apart from the workers during working hours. But all the alarms worked and the experts will soon be able to trace the fire trajectory thanks to them. I feel for the site manager and would not like to be him. L’erreur est humaine of course, but the guilty feelings will be for ever heavy to carry in his heart. My heart goes to him. Fire is out but what about water damage? 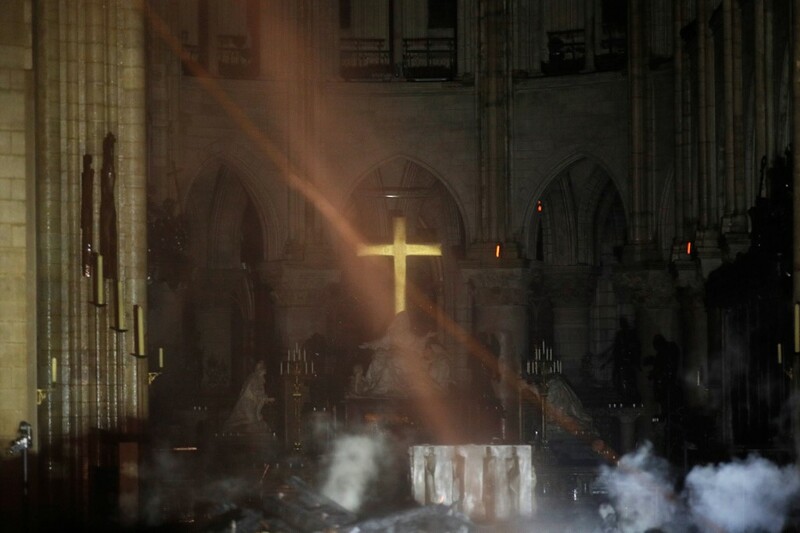 1000 square meters of framework + the height of the monument + the cross shape of Notre-Dame made it extremely difficult for the firefighters to accomplish their job. Now that the fire is finally out, first we need to make sure it cannot start again, and secondly we need to start thinking about what I’ve learned this morning was the real enemy of architecture: water. What are the steps now? A giant umbrella will have to be placed on top of Notre-Dame, which rests now wide open. Everything fragile that could be taken out has been taken out. But some paintings are so big, they had to remain inside. Fungus is the killer. Every piece needs to be carefully dried or it will eventually be destroyed by les champignons. When the above is done and we can replace the current chaos by order, we will begin the inventory and only then will we know precisely how much money will be needed for the restauration. 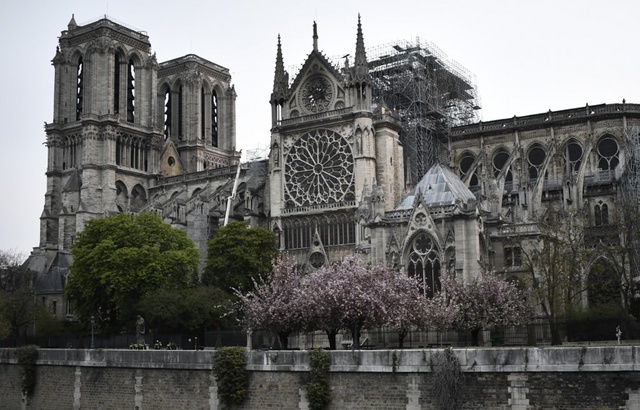 The restauration work will not begin any time soon, so far we estimate (but don’t know for sure) it will cost hundreds of millions of euros and take between 10 to 15 years to repair Notre-Dame. Some specialists are starting to ask themselves if we should rethink security measures when monuments are being renovated. I invite you to look up the fires or almost fires at Matignon (where the French Prime Minister lives), l’Opéra de Versailles, la Bibliothèque nationale, la Cathédrale de Nantes, le Parlement de Rennes, le Théâtre Fenice à Venise, and so forth. Often the “spark” mentioned above is seen just in time to avoid the worse, but Notre-Dame n’a pas eu cette chance. I love how Emmanuel Macron addressed our feeling of devastation: “C’est notre histoire, notre littérature, notre imaginaire, le lieu où nous avons vécu tous nos grands moments.” He’s right, it’s our books, it’s our paintings, it’s our pride, it’s our history. Why did this fire touch our hearts so deeply? 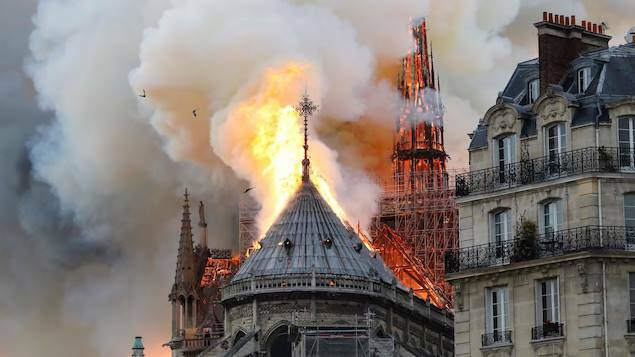 Whether from the Catholic Faith or culture or not, we all felt broken hearted as we watched this more than 800 year old beauty being ravaged by the flames last night. Not only is Notre-Dame de Paris is a witness to the French History, Literature, and Art, she is also a witness to our personal memories and imagination. Last night’s event reminds us that, even though we all have this visceral need for grandiose things to survive us, even though we want to believe that what the generations before us have admired for centuries, will be admired in turn by our children for centuries after us, nothing is eternal. Victor Hugo is responsible for Notre-Dame’s glory today. Before he wrote the tragedy of Esmeralda & Quasimodo in 1831, the cathedral wasn’t that popular at all. Hugo made it popular. He chose this image to fight against the destruction of medieval Paris. 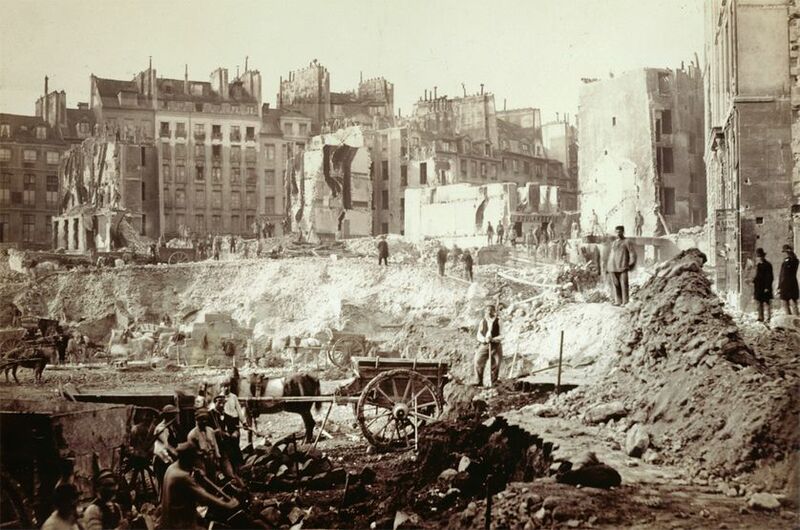 Haussmann’s mission was to destroy medieval Paris and completely remodel the city by giving it a brand new face. Paris was to be wide, offer clear views, and eliminate the formation of barricades built by angry and hungry revolutionary Parisians in the narrow medieval streets of downtown Paris. This imposed transformation infuriated Victor Hugo who chose Notre-Dame as the symbol for his ideological fight to save some of the Gothic elements of Paris. I was so touched and amazed to see, hear, read this was not just a national tragedy but a planetary one. People from all over the world sent me messages expressing their despair, telling me they were in tears. Merci beaucoup. Beauty might not be eternal, but it is universal. I know there will be ways for everyone worldwide to donate. It is the French state who owns Notre-Dame de Paris and since the state is not insured, it will have to pay for the renovation. So merci beaucoup to the Pinault family for getting us started with 100 million euros! Wow! I’ve heard people say “They’re billionaires, they can afford it!”. Still, they could have kept their millions so I’m just grateful for such spontaneous generosity! 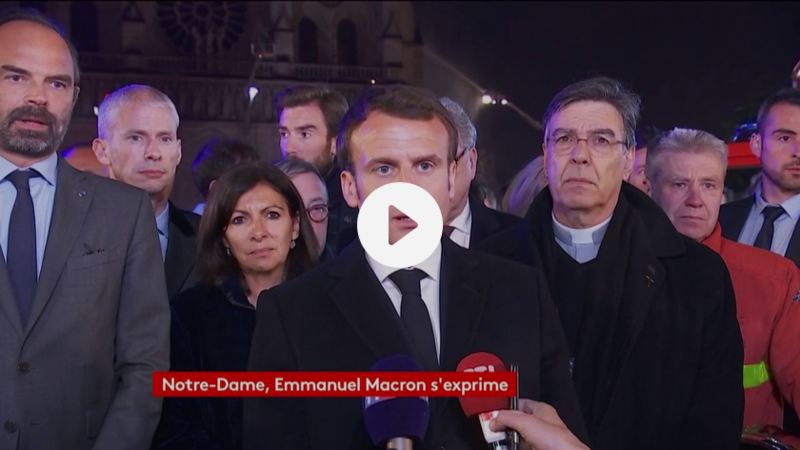 Et maintenant commence un nouveau chapitre de Notre-Dame de Paris. She still stands proud. Une excellente leçon de vie. Our hearts in America go out to you all in France. So sorry! Hi Virginie! Lovely photos and reference to Victor Hugo. I do like Gothic buildings and what a wonderful setting it was for his novel.